Different criterions for boys & girls in self-regulation? An article by Jouni Veijalainen, Jyrki Reunamo and Minna Heikkilä (Early gender differences in emotional expressions and self-regulation in settings of early childhood education and care) has been accepted for publication in the journal Early Child Development and Care. The article is based on the Progressive feedback data. 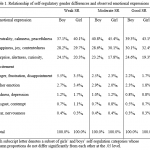 According to the results, boys practice their self-regulation skills in a different context than girls. 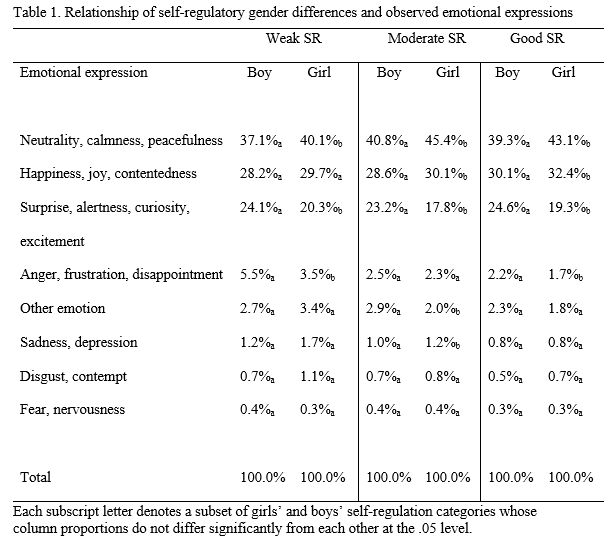 Perhaps boys practice their SR skills with a higher intensity of emotions than girls. This may lead to a situation in which boys more easily get into trouble in a school with rules and a low tolerance for disturbance. If boys and girls have different criteria for SR skills in kindergarten, their ability to prohibit their emotions later are different. Is the school ready for both girls’ and boys’ different criteria for SR skills? 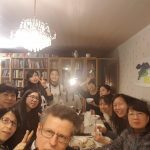 Korea is well-known for its high quality and ambitious education. Especially ambitious is NCSoft with its Laughing Peanut kindergarten, combining research based development, and happy children. 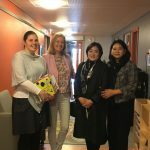 Jayoung Koo (Laughing Peanut Design Division, Head of Division) and Juyen Kang (Laughing Peanut Design Division, Team Leader) visited Finland 4-5 April. 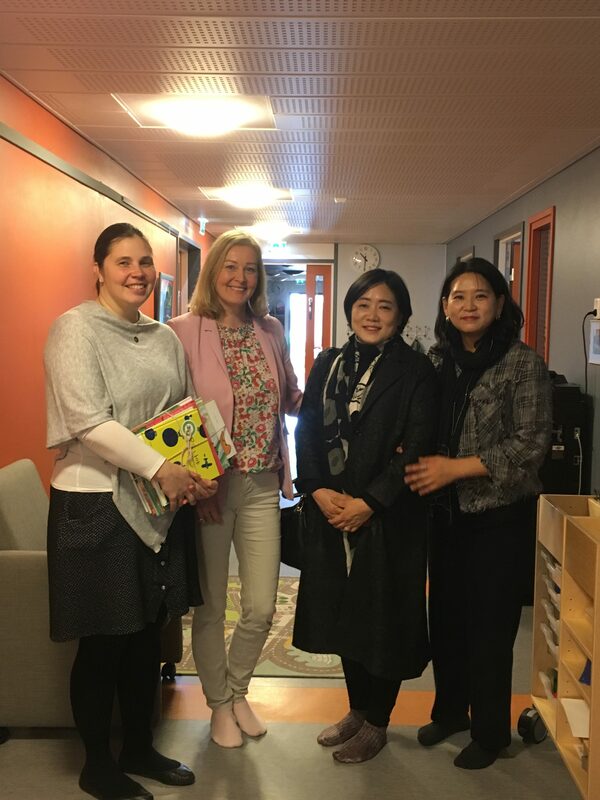 We seek possibilities to integrate the Finnish Progressive Feedback with the Korean know-how to make a teacher-friendly interface for a knowledge-based Early Education development. We have long had a fruitful cooperation with Tzu-Chi University. 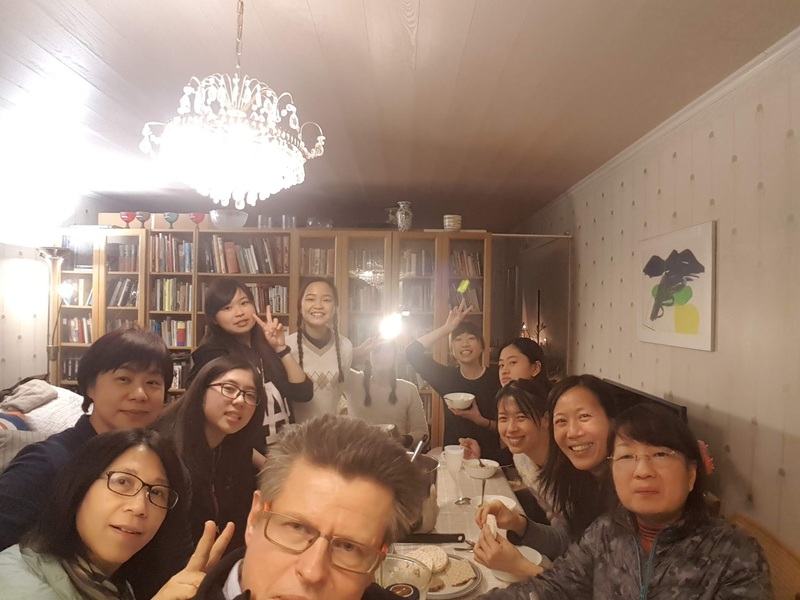 Professor Hui-Chun Lee is visiting Finland in January-February 2019 with her students. At the moment, professor Lee studies the rule breaking behavior in Taiwan and Finland. Professor Li-Chen Wang’s current interest is in physical activity. 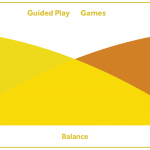 With the support of Lego Foundation we have produced a white paper for Facilitating play. Play is a essential for children’s learning in all kinds of activities. However, play can also get stuck in dead end, increase segregation and be meaningless. The essential element is progressive play. The book is just out, it is available totally free in here. In Finland, in Nummenkylä and Siimapuisto day-care centres, we have piloted progressive feedback, in which it is possible to give timely feedback for the educators and principals to understand, follow and steer the development processes in real-time in the school. In the pilot system, each educator is trained as an observer and each observer observes a random group once a month. This practice gives the keys for educational development to the educators and principals, with the possibility to share the results with parents and children for deepr cooperation. 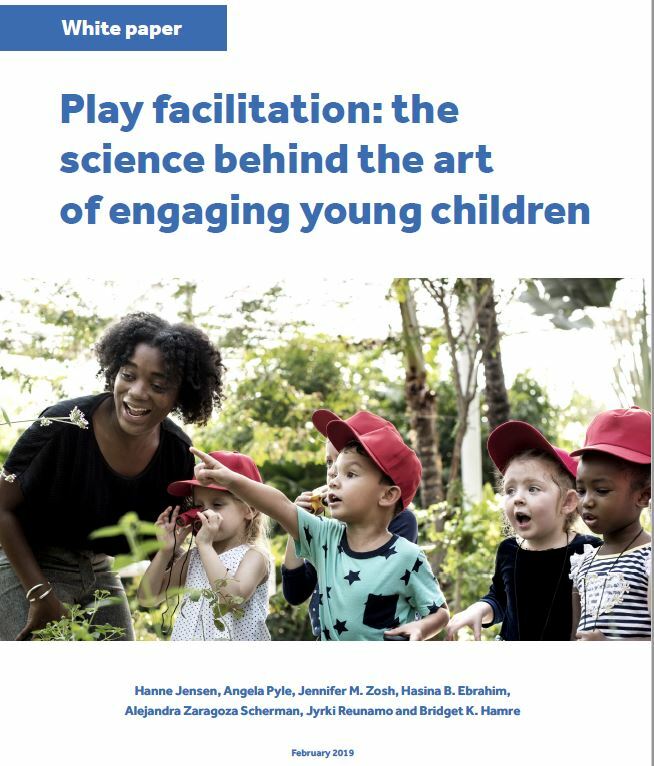 At Lego Foundation, we have been writing a white paper about Play facilitation: the science behind the art of engaging young children. The writers are Hanne Jensen, Angela Pyle, Jennifer M. Zosh, Hasina B. Ebrahim, Alejandra Zaragoza Scherman, Jyrki Reunamo and Bridget K. Hamre. Play is important in developing skills, learning, solving problems, in relationships, health and societal development. However, not all play is beneficial. 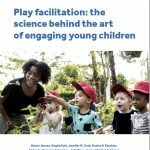 Play facilitates learning when it is joyful, meaningful, actively engaging, iterative and socially interactive. In the paper, it is considered important that play is integrated to all activity, including instruction. The paper includes a lot of research results based on our project. Thank you for everyone for their contribution. The paper is disseminated world-wide by Lego and it is launched officially 27 February 2019 in South Africa. Virpi Katajarinne has written a rather unique graduate thesis. In her thesis, Virpi studies, for example, how 1-3-year-old children’s physical activity varies in different activities. This helps early educators to focus on important activities. 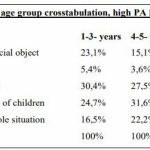 It is also interesting to see how children’s emphasis on physical activity changes gradually from non-social subljects to a peer related activity and later on group-related physical activity (enlarge the table on the left by clicking it). It is also interesting to see how physical activity seems not to be connected with learning than with older children, perhaps Laevers’ involvement scale does not find the motor learning taking place with younger children? Virpi has written her thesis in English, which is rare in our department. Use this rare opportunity and read Virpi’s thesis yourself here! 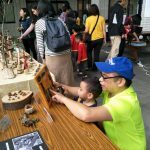 In Tzu-Chi University, the early educators have completed the final exhibition and sharing workshop 23 November 2018. This sharing exhibition of the project lasted for three weeks in front of university library., On 17th November was the final sharing workshop including 40 minutes of statistic report of observation and 3 hour oral presentations of development tasks(8 preschools presented), 1 hour of educational market (11 preschools presented), and one hour of river plan workshop. 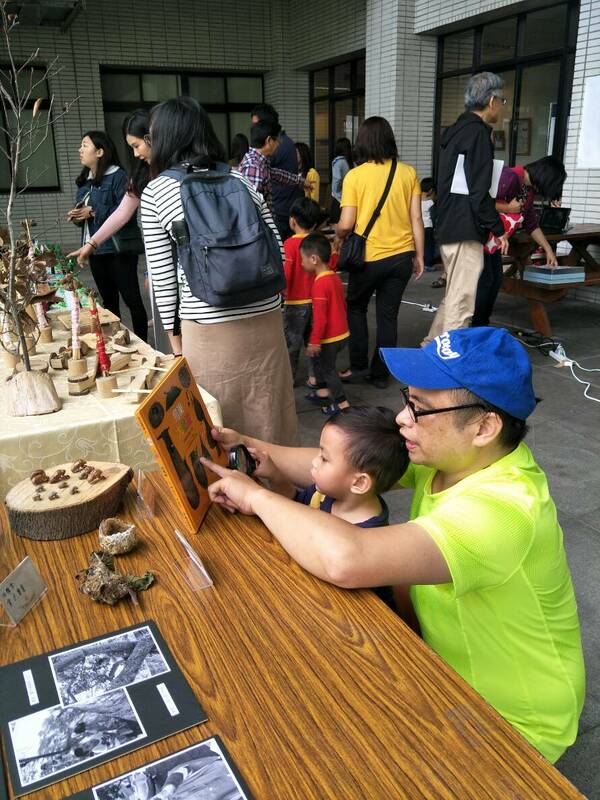 There were also parents bringing their child to try to activities in the educational market. The six oral reports were excellent in developing the curriculum, and educators said that they learned a lot from the project! Kindergarten heads, teachers and parents have the liberty to look at the data from a cross national perspective, compare it with science of learning as well as ECD goals, and decide the best way forward.The Orientation Project provides practical and meaningful instruments for researching, monitoring and evaluating early learning. 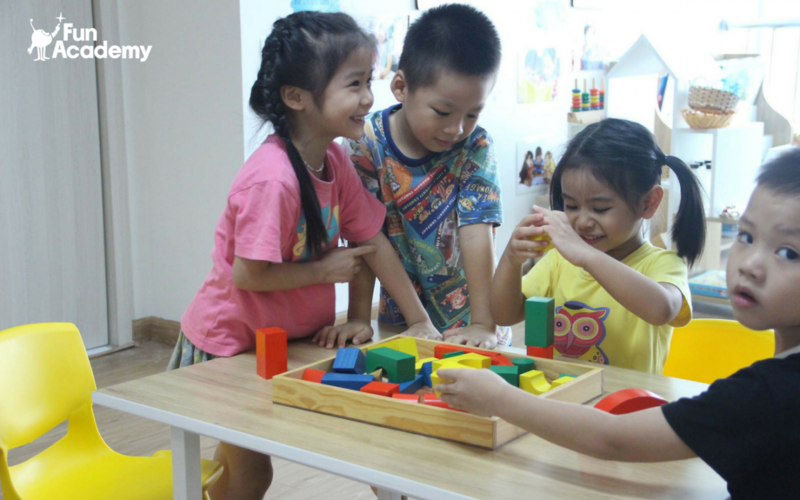 We have started collaboration with the Fun Learning approach, starting in China. Jenny & Antti Wihuri foundation has granted Jouni Veijalainen 24 000 euro to finish his doctoral thesis about children’s self-regulation in early education. The same foundation also granted Outi Arvola 7 000 euro to complete her doctoral thesis on multicultural children in early education. Both are using project data on their thesis. Congratulations!